The Pizza Project is seeing some progress! First up, pepperoni pizza. 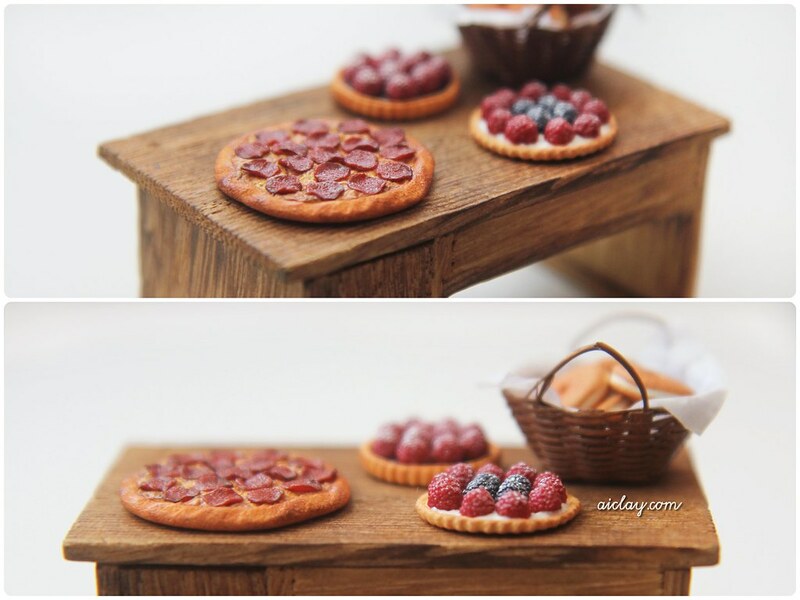 The miniature pizza (and the tarts and donuts) is handsculpted by me with polymer clay, and it measures around 2.9cm in diameter. P.S Yes pizza can live amongst sweet tarts and donuts, why not? Lol. The pepperoni looks so realistic!